Manjits have been lighting up local taste buds with the flavours of India since setting up their first shop in Balmain in 1984. 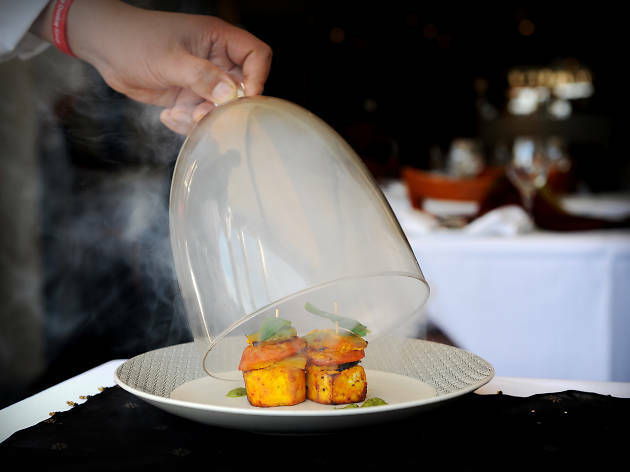 Manjits Wharf is continuing the tradition of serving refined fusion food, with northern and southern Indian dishes that take inspiration from modern western cooking. The house specialities come highly recommended. To create the bakra rogani, cutlets of lamb are gently simmered in a creamy sauce of North Indian spices until tender. 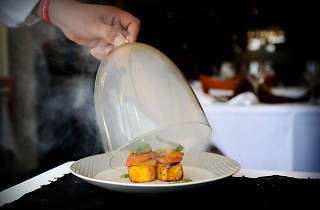 Vegetarians will appreciate the extensive menu from the garden, and can try the popular baigun takatak: a smoke-roasted eggplant dish with chilli, onion and tomato, brought to your table under a glass dome, still infusing with flavour. One of three Manjits' Sydney venues, Manjit's Wharf offers a sophisticated dining experience with sweeping views of Darling Harbour and King Street Wharf. It’s a good spot for a post-work cocktail, and if you’re feeling peckish you can try three of their entrées for $35 with any drink purchase Monday to Friday from 5.30-7pm. If you’re planning a party, Manjit’s banquet menus start from $29.90 per person.